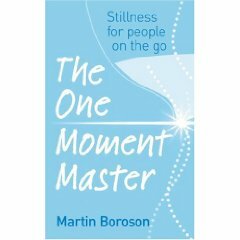 This book teaches us that we can all regain composure, balance and inner peace in just a minute. Life is hectic enough and to find an hour to meditate is just not possible for some. Read this and learn that where ever you are, on a bus, at work or walking to work you can find a minute to go within and regroup your energy and focus for the day. It really only takes a minute - so read, learn and then give yourself the gift of a minute a day to help you live a more harmonious and joyful life.